Year five maths is all about building upon your child’s foundational knowledge of addition, subtraction, multiplication, and division. 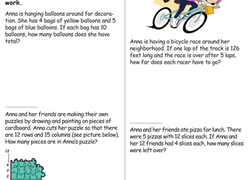 Get your child ready for the challenge with these printable worksheets that will provide essential skills practise working with multi-digit numbers, solving multi-step word problems, and extending their knowledge of fractions, geometry, and place value. Or check out our Year four maths worksheetsFor a basics boost! 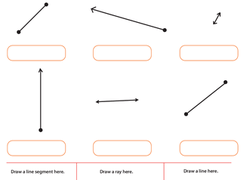 Full of apples and oranges, this fruity worksheet serves up some sweet fraction review. By now, your fourth grader has had a lot of exposure to addition, subtraction, multiplication, and division. Now it’s time to build upon this foundational knowledge, increasing comfort with times tables, learning rules of divisibility, and taking the maths challenge up a notch with problems involving multi-digit numbers and order of operations. The curriculum is a little trickier, but it’s nothing your child can’t handle with the help of our worksheets designed to provide the support, practise, and skills boost wherever it’s most needed. Timed maths drills give your child focused practise and allow you to see areas where they might be struggling, while mixed word problems let kids tap into multiple skillsets as they apply their knowledge to entertaining scenarios. Kids can also get plenty of practise working with fractions and decimals, converting and comparing all kinds of units of measurement, graphing points on coordinate planes, and calculating the perimeter and area of multiple shapes. Keep practise interesting with hexagon mazes, crossword puzzles, shape drawing challenges, and other maths brain teasers that allow kids to flex their maths muscles while also getting a fun break from the homework routine.